Highlights of the Sky Bet Championship clash between Birmingham and Middlesbrough. Middlesbrough's promotion hopes suffered a blow after they were denied victory at Birmingham. Boro drew 2-2 at St Andrew's to move top of the Sky Bet Championship by a point, but they were left frustrated after Daniel Ayala's goal was ruled out for offside - video replays showing the defender in an onside position with the score locked at 2-2. 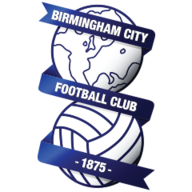 Jordan Rhodes and Gaston Ramirez had given the visitors the lead after Stephen Gleeson's opener, but David Davis' fine strike earned Birmingham an entertaining draw. 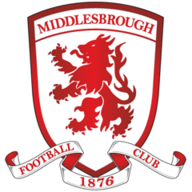 Middlesbrough's future is still in their own hands as they face Brighton on the final day with the Seagulls a point behind in third and a win would end Boro's seven-year exile from the Premier League. But they face an anxious wait until Monday when Brighton host Derby and Burnley, who sit second, welcome QPR. Both games are live Sky Sports. All three started the day on 87 points and Boro will count the cost of a host of missed chances. It took until the the 25th minute for them to carve out an opening - and it was a glorious one which Rhodes should have taken. Grant Leadbitter barged his way through in the middle and when the ball ricocheted to Rhodes, the Scotland international was left with just Adam Legzdins to beat but the goalkeeper made a superb sprawling save. Two minutes later the hosts almost took the lead when Dimi Konstantopoulos palmed Maikel Kieftenbeld's drive away and then claimed Clayton Donaldson's tame follow-up. The game suddenly opened up and Legzdins raced off his line to deny Rhodes again before Birmingham struck first after 33 minutes. Loanee Ritchie De Laet - who will earn a Premier League winners' medal if Leicester win the title - could only clear as far as Gleeson and the midfielder was given too much time to steady himself and while Konstantopoulos got a hand to his 25-yard drive, he could not keep it out. Boro hit back almost immediately when Legzdins thwarted Albert Adomah but the keeper then undid all his fine work with a fumble five minutes before the break. The visitors were awarded a free kick 25-yards out and Legzdins spilled Ramirez's strike straight to Rhodes who bundled in from four yards. The chances continued to flow after the break as Ryan Shotton's header dropped just wide before Boro missed three golden chances in the space of 10 seconds. First, Rhodes volleyed Leadbitter's free-kick against the post, only to then block Adomah's follow-up and see Ramirez fire a third attempt over the bar, but Boro finally took the lead after 57 minutes with a goal of true simplicity. Adomah's deep cross found Rhodes peeling off at the far post and his header across goal was met by Ramirez to nod in from barely a yard. Back came Birmingham, though, and Davis levelled 11 minutes later with a brilliant half-volley from the edge of the area after Ayala could only half clear. And an enthralling game continued to spark within 90 seconds when Ayala had a goal ruled out for offside having curled into the far corner from 12 yards. Boro then almost lost the game when Diego Fabbrini headed over and Konstanopoulos twice denied David Cotterill in the final 10 minutes. But Leadbitter nearly won it with two minutes left when Legzdins turned his rasping drive onto the bar.